I’m baaaaack! After a small break from blogging, I’ve decided it’s time to dive back in! I really did miss you, xo! There are lots of exciting things going on around here. We’re getting ready to launch a new website design with lots of new organizing ideas – even a challenge! We even have a new instructor in Qatar – how cool is that? In the next few weeks I’ll be able to tell start introducing you to everything that’s new, but in until then I thought I’d share with you a baking project I tackled this weekend and later this week I’m going to tackle some decorating questions! 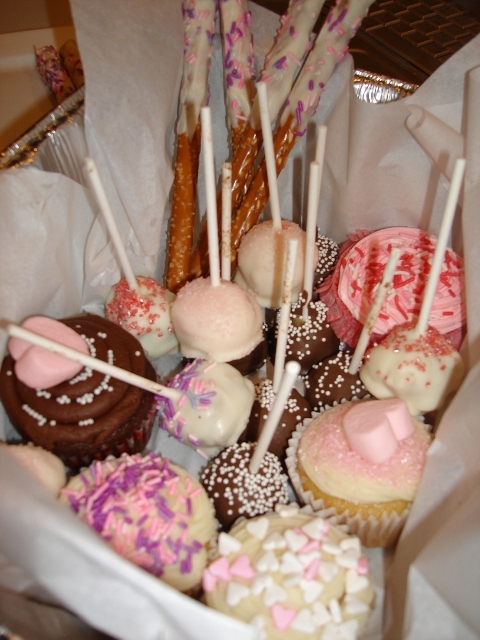 Cake pops and cake balls are quite the rage, so I thought they be fun to make for valentine’s day. It seemed like a relatively simple undertaking, yet what started as a fun little project that I thought I’d complete in one evening, ended up taking a few days. Although I had done lots of research before starting, I still struggled a bit and figured I’d save you some time and aggravation by sharing some tips. They really are simply yummy.and most definitely worth making. CAKE: The icing gets mixed with the cooled crumbled cake. The amount of icing really depends on the type of cake that you use. The recipes that I found on-line called for either a can of icing or a box of icing. I found that is sometimes too much. Duncan Hines Strawberry – This was really, really moist. 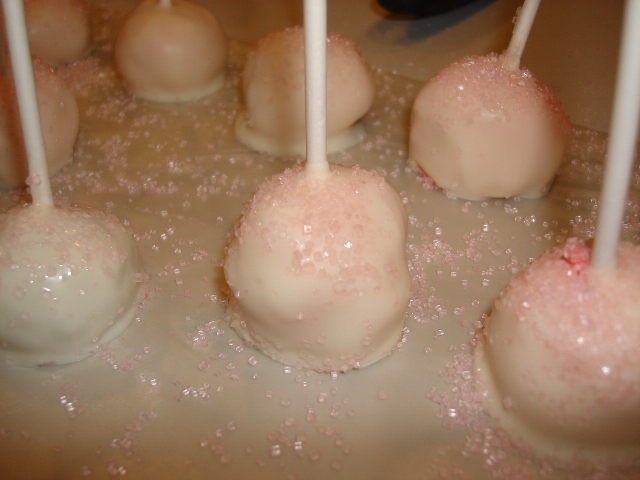 It ended up being delicious with Duncan Hines cherry icing and Wilton’s white candy coating, BUT, the first time I made it, used an entire can of icing and the balls were way too soft to dip, even after freezing. Complete fail. Lesson learned: the moister the cake, the less icing you need. In this case, a 3/4 of a can of icing was plenty. 2. 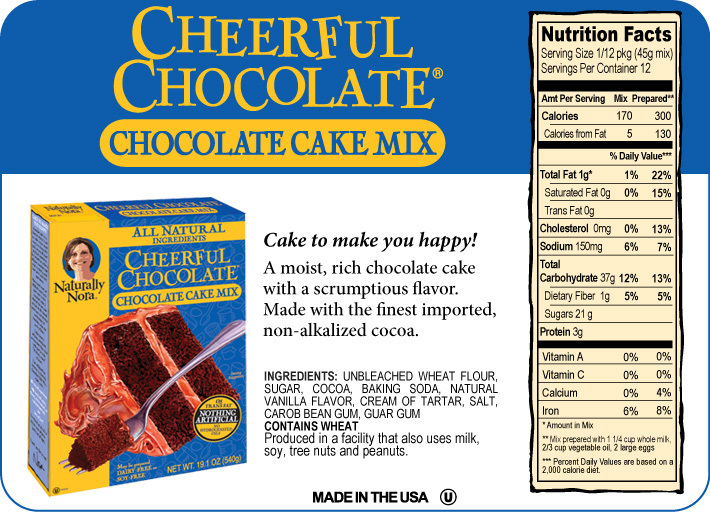 Naturally Nora’s Cheerfully Chocolate and Sunny Yellow – I have been wanting to try Naturally Nora’s cake mixes. I had seen them on a cooking show and then on-line. They’re all natural and said to taste like “made from scratch”. I have to say, I agree… yum. These cakes are heavy, not too sweet, have a great texture and consequently need a bit more icing to make the balls hold together. 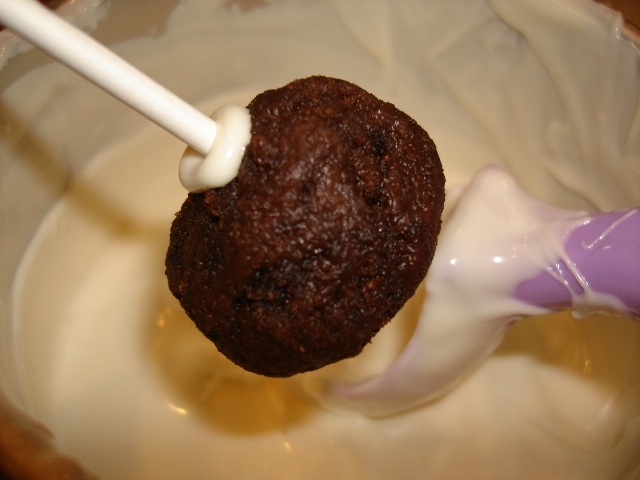 ICING: The icing is the sweet yummy glue that holds the balls together. I think any kind is okay, but I used Duncan Hine’s Creamy Cherry which went well with the strawberry cake. I also tried Naturally Nora’s Cheerful chocolate Icing with the chocolate balls which was easy to whip up and extra good. I used the whole amount since the cake was a bit firmer than the strawberry one. 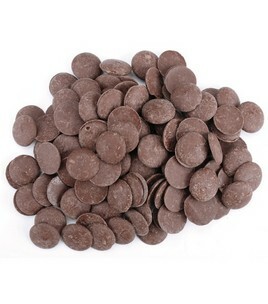 Chocolate/Candy Coating: I researched this the most. 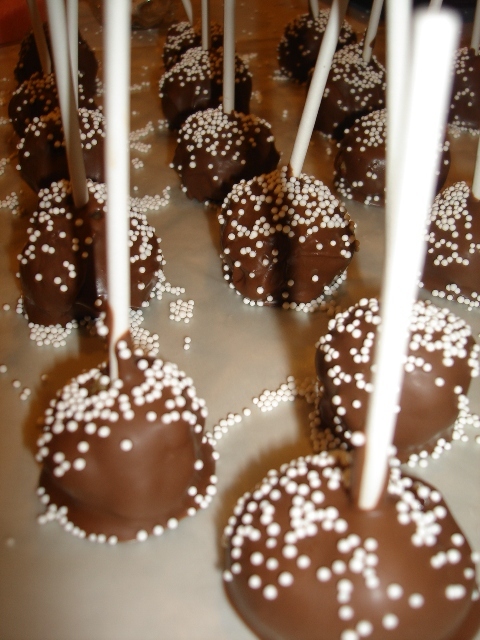 You can use any chocolate or candy coating. Chips, melts, bark, etc… there are lots of kinds out there. My microwave is on the blink, so I first tried melting Ghirardelli white chocolate chips in a double boiler which was a complete fail. I couldn’t get it thin enough, I tried adding oil, even milk… In the end, I coated some peanuts and pretzels and was completely done with it by late Friday night. 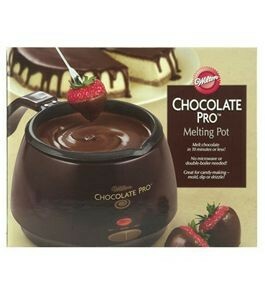 If you look on-line you will find all kinds of recipes and tips for melting chocolate. It will make your head spin. By Sunday, I had decided to try Bark or Wilton’s melts and came upon a miracle: Wilton’s melting pot. I L-O-V-E iT! I wouldn’t melt chocolate or candy any other way. I found mine at Wal-Mart for $20.00 and it had me at hello. It’s amazing. I used the melts (haven’t tried the bark yet) and they were delicious. The BEST part about this contraption is it melted the chocolate perfectly and kept it perfect until I was finished, which was an hour + later. No re-heating, no lumps… just perfection. My son stopped by right in the middle of dipping and although I took a break to get him up some white chicken chili and say hello to him and his adorable puppy earl, by the time I got back to dipping, it was still perfectly melted. Worth every cent. Did I mention that I love this thing? NOTE: I actually purchased the Deluxe model for $19.99, not the Pro pictured above which retails for $29.99. Bake the cake in a 9 x 13 pan and allow it to completely cool. Once cooled, trim any edges that are too crusty and discard or eat :). Crumble the cake into small pieces. 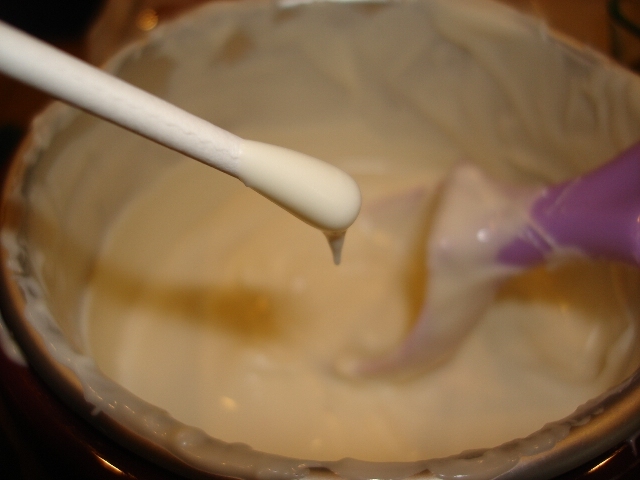 Stir in the icing until completely blended with cake making sure not to add too much. 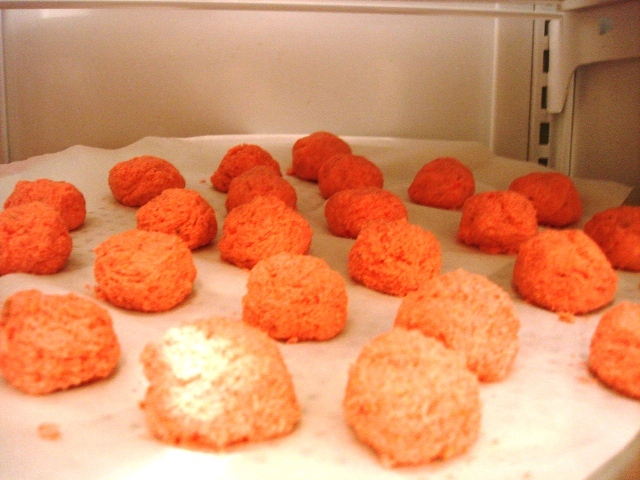 Form small round balls about the size of a tootsie pop and place each on a cookie sheet. I lined my cookie sheet with wax paper and used one that was narrow enough to slide into my freezer. Freeze balls a minimum of 1 hour. After 3 hours, I placed mine in a sealed container and dipped a day later. Melt the chocolate until completely smooth. I also read that ANY water will ruin the chocolate, so make sure the pot and utensils are dry. When you’re ready to dip, remove about a dozen balls at a time for dipping. If you take them all out, they’ll start to get soft and be more difficult to dip. Dip the balls. 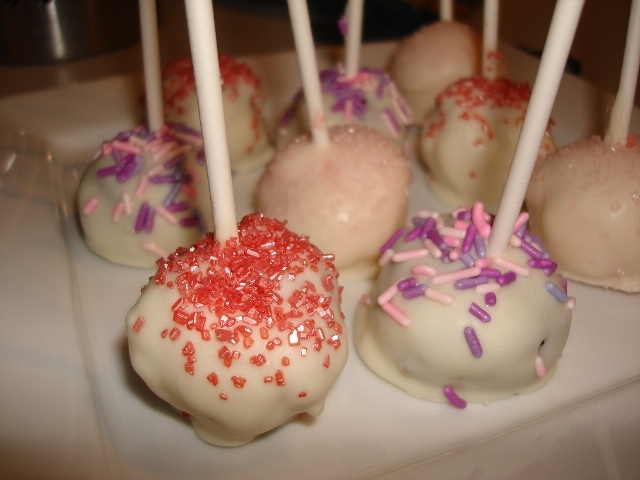 I originally was going to make balls and not cake pops with sticks. I tried dipping the balls with a tooth pick and later a fork with the center prongs broken out and didn’t have much success. 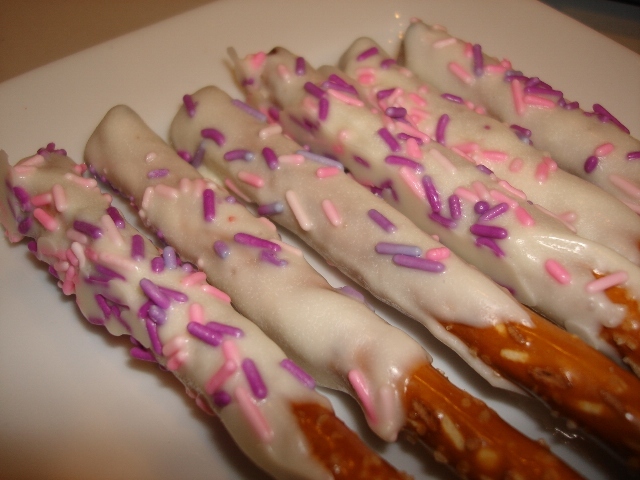 Finally, I tried 4″ candy sticks (I cut 8″ sticks in half) and they worked great! 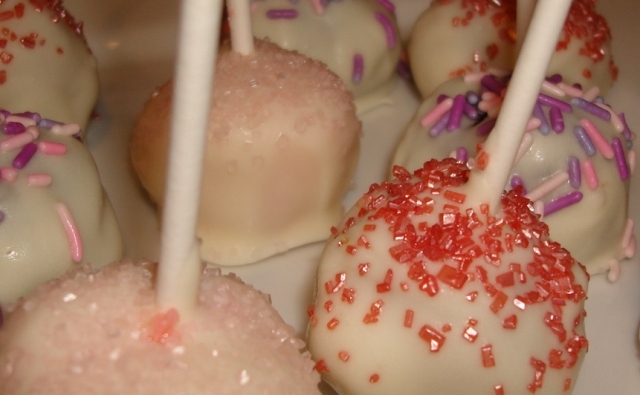 The key is to dip the stick in the melted candy before placing it in the ball. Note: if you want to do balls, I would suggest using a wire dipping tool, much like the simple ones you used to dip hard boiled eggs into coloring at easter. Now you can start gently dipping the balls. 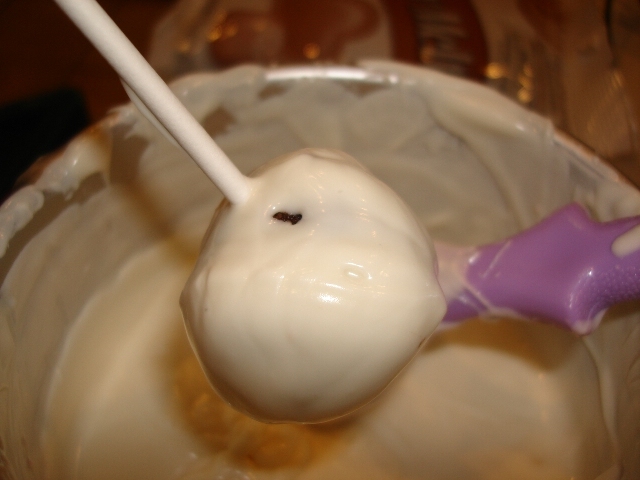 I used a plastic ice cream scooper to help coat the balls and lightly skim the bottom to remove excess coating. As you set each ball on wax paper to cool and harden, immediately sprinkle with jimmies, sparkles or nuts if you would like. If you wait more than a few seconds, it will be too hard. I had some extra chocolate and decided to use it to cover some pretzels that I had. You could do the same with pecans, chips, peanuts, strawberries (dried and at room temperature), etc.